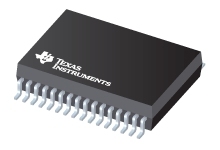 This application report provides background information, general equations, and instructions for proper use of the Texas Instruments TAS57xx series Dynamic Range Control (DRC). Topics include I2C configuration, single-band and dual-band DRC, coefficient computation, device offerings, and user interface configuration. Electromagnetic interference (EMI) is an unwanted disturbance caused in an electrical circuit byelectromagnetic radiation emitted from an external source. The disturbance may interrupt, obstruct, orotherwise degrade the effective performance of the circuit. This application report provides design information for a power supply for use with our newest offering of high-performance, ultra high-fidelity audio amplifier input stage ICs. This application note provides guidelines for measuring the date sheet parameters of Texas Instruments audio power amplifiers (APAs) using prefabricated evaluation modules (EVMs). The primary equipment used for the measurements consists of the System Two audio measurement system by Audio Precision , a digital multimeter (DMM), and a dc power supply.